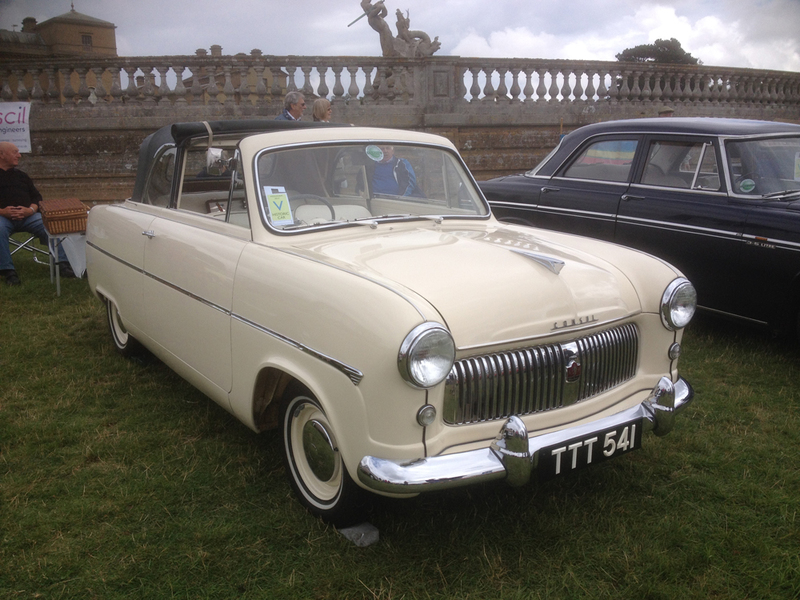 We first heard about the Holkham Country Fair at the Drive-It Day run which ended at Holkham Hall. After making a few enquiries we got ourselves booked in to the car show and then booked the caravan into the campsite for the weekend. 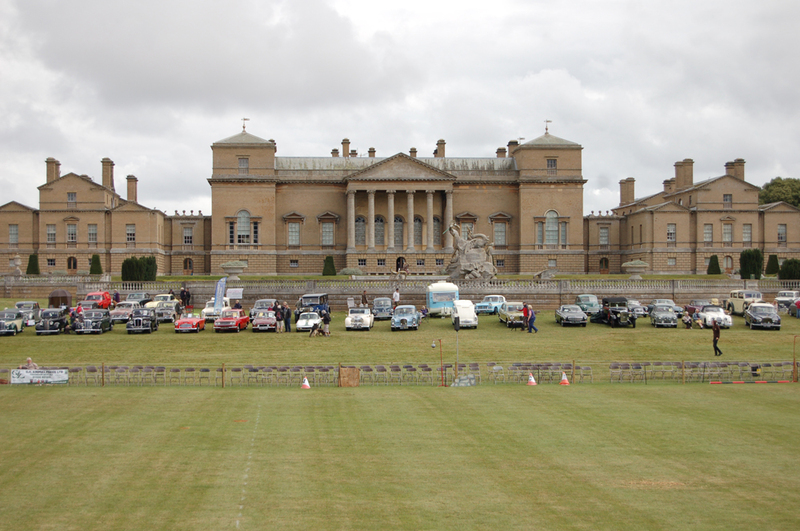 We arrived at Holkham Hall on the Friday evening and had a wander around the developing Fair. 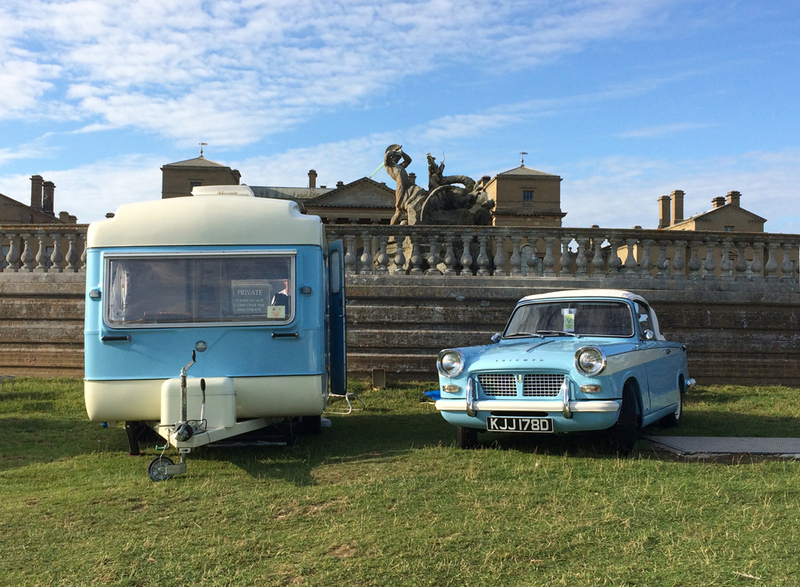 Back at the campsite we went to have a look at the only other vintage ‘van, a Cheltenham with a Rolls Royce tow car, then returned to our pitch to find the owner looking at our set up! After a good night’s sleep, we hitched up and towed the caravan around to the car show area. We managed to get ourselves a prime position just below the Hall and with a fantastic view of the Main Arena. 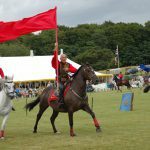 There was some great entertainment throughout the day, with the “Cossacks Horseback Riders” being one of the favourite. 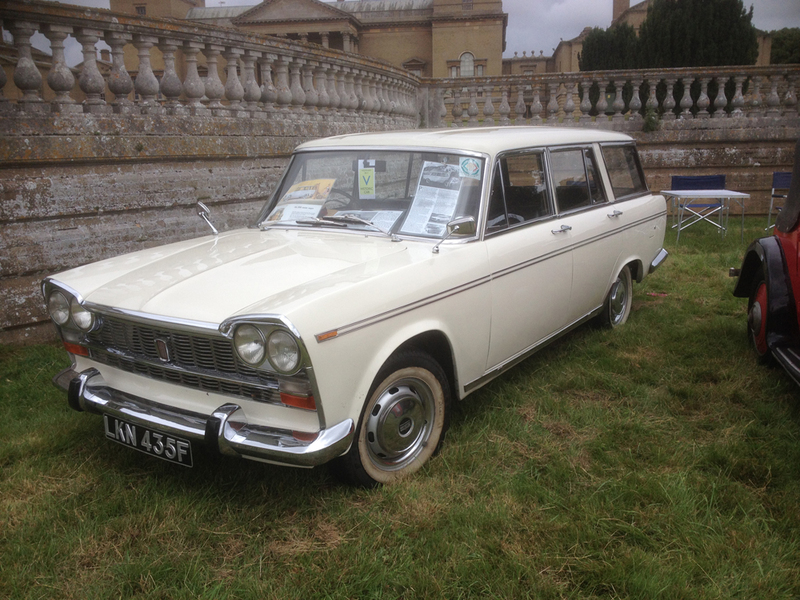 The car show was well attended and our caravan created a lot of interest from young and old alike. Having found ourselves in such a good spot, we got permission to stay where we were for the night rather than go back to the campsite, which meant that we were still having breakfast as the show started up around us the next morning! The weather was not brilliant over the weekend but it cleared enough on Sunday for the parachutists to land in the arena, and then brightened up just in time for the spectacular Red Arrows Display. We thoroughly enjoyed the weekend and will certainly look to attend the next one in 2019.